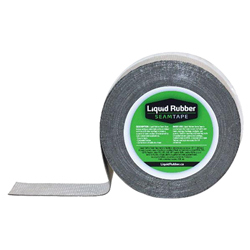 Use to seal roof joints (seams) and tears, copings, flashings, skylights, gutters, etc. Perfect for repairing and restoring roofs of residential and commercial buildings, mobile homes & RVs. Bonds to a wide range of surfaces including difficult roof materials such as EPDM, TPO, most PVC, SBS, APP, BURs, metal roofs, tiles, shingle, aluminum, galvanized steel, wood, propylene, polystyrene, fiberglass, brick, concrete, masonry, OSB, etc.